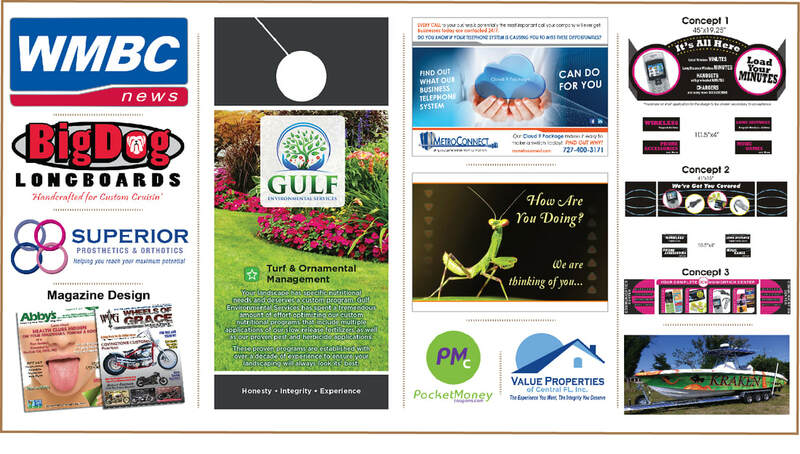 While we specialize in Branding & Re-Imaging, we create all forms of media from a button, to a website, to a billboard. We hold quality & simplicity in the highest regards and deliver top notch service based on client need. Angela Russo's Graphic Design Service is a Graphic Design Studio located in Seminole, FL. We find the right words, typography, images, and creative vision to deliver meaningful communication to your clients and customers. Our portfolio includes 26 years of design projects including logos and brand identity, brochures, collateral material, web design and much more. Brochure Design. Logo Design. Magazine Design. Web Design. Design Consultants. Graphic Design. Logo, Branding & Identity. Print. Typography.